Directions: To use as a scrub: Apply to clean, damp skin with fingertips in a gentle circular motion. Rinse well with warm water. Pat dry. To use as a pre-shave (for women and men): Use as a gentle scrub before shaving, rinse well with warm water. Then apply your regular shaving lotion or cream. Aqua (Water), Cocamidopropyl Betaine, Glyceryl Stearate SE, Cetyl Alcohol, Juglans Regia (Walnut) Shell Powder, Glycerin, Stearic Acid, Aloe Barbadensis Leaf Juice*, Calendula Officinalis Flower Extract*, Chamomilla Recutita (Matricaria) Flower Extract*, Prunus Armeniaca (Apricot) Kernel Oil, Simmondsia Chinensis (Jojoba) Seed Oil*, Allantoin, Steareth-20, Xanthan Gum, Alcohol*, Phenoxyethanol, Potassium Sorbate, Sodium Benzoate, Fragrance (Parfum) *Certified Organic Ingredient. 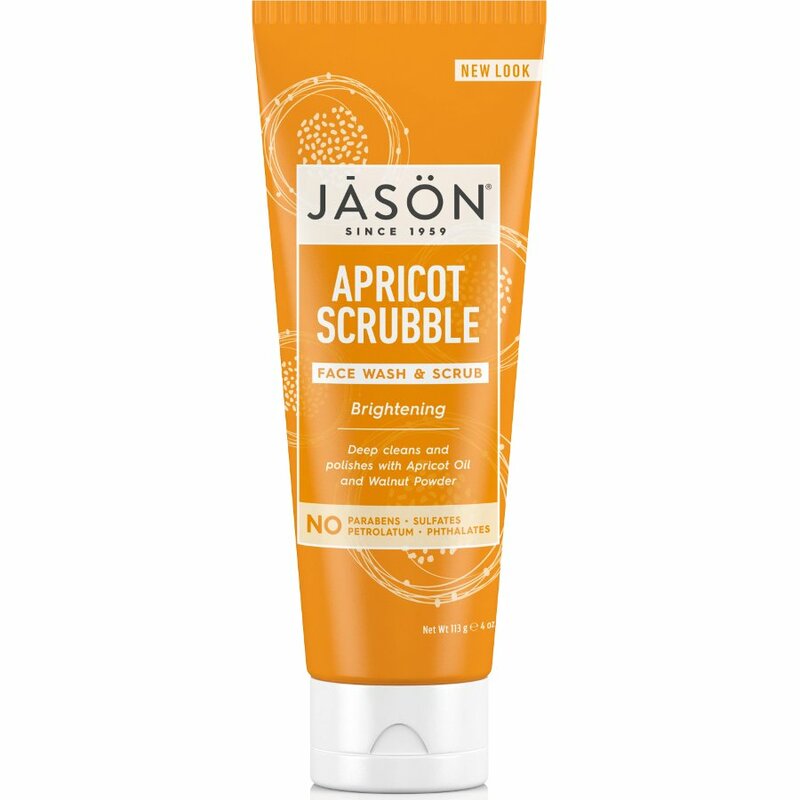 There are currently no questions to display about Jason Apricot Brightening Face Wash & Scrub - 128ml. Jason provide a wide range of natural cosmetics and luxury body care products sourced only from natural ingredients, because what you put on your body is as important as what you put into it. The company combines the science of effective natural personal care with the finest natural ingredients to create an environmentally friendly and skin friendly alternative to mass produced, chemical beauty products. All JASON personal care products are manufactured under strict guidelines in their own facility.